Highly Upgraded Spectacular Home w/Breathtaking Strip & Mtn. Views In Desirable Seven Hills. 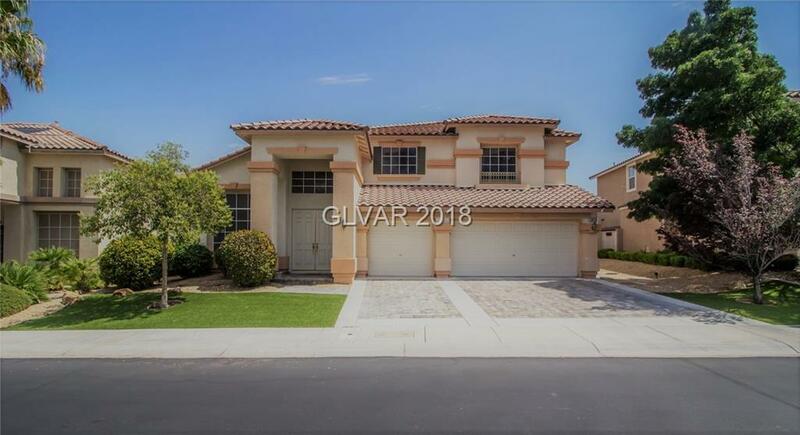 This Spacious 4 Bedroom,3 Bath,3 Car Garage Home Sits on an Elevated Lot. Large Backyard w/amazing Infinity Solar Heated Pool,BBQ Stub,Covered Patio w/Balcony & Sitting Area. Chefs Kitchen w/Granite Counters,Breakfast Bar,Nook,recessed lights & Island. Plantation Shutters,Solar Screens,water conditioner,Bonus Room Plus a Loft. This Home is a Must See!! Directions: From Eastern And St Rose Pkwy, W On St Rose, L On Seven Hills Dr, L On Classico Way, R On Via Savona, 1st L On Via Merano St. Property On The Left.